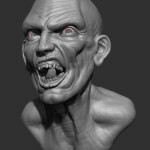 This entry was posted in BLOG and tagged 3D, Character, Maya, Sketch, ZBrush on September 22, 2014 by Ralf. 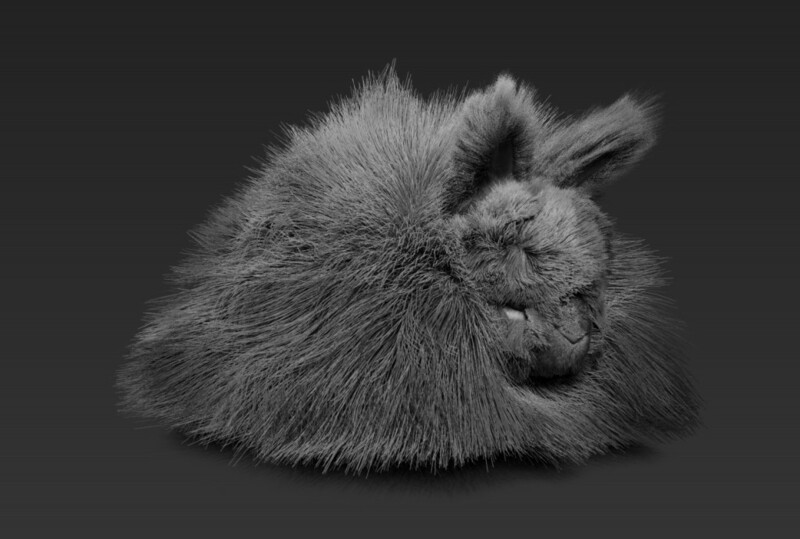 I haven’t done any modeling, scripting or rigging work lately, I’m mostly doing particle FX at work right now, but I saw the ZBrush plugin for Sketchfab the other day and really wanted to try it out. So here’s for nothing. Sort of dinner break doodle. 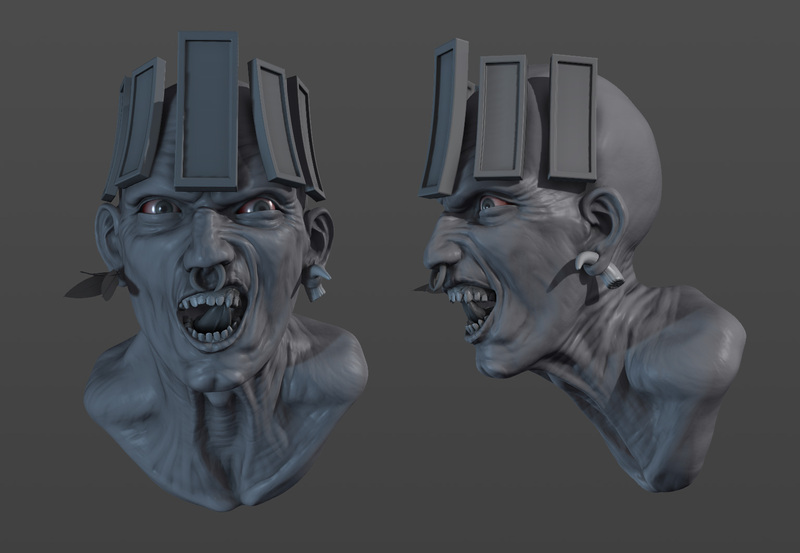 Sloppy sculpting, sloppy polypaint, sloppy pizza. 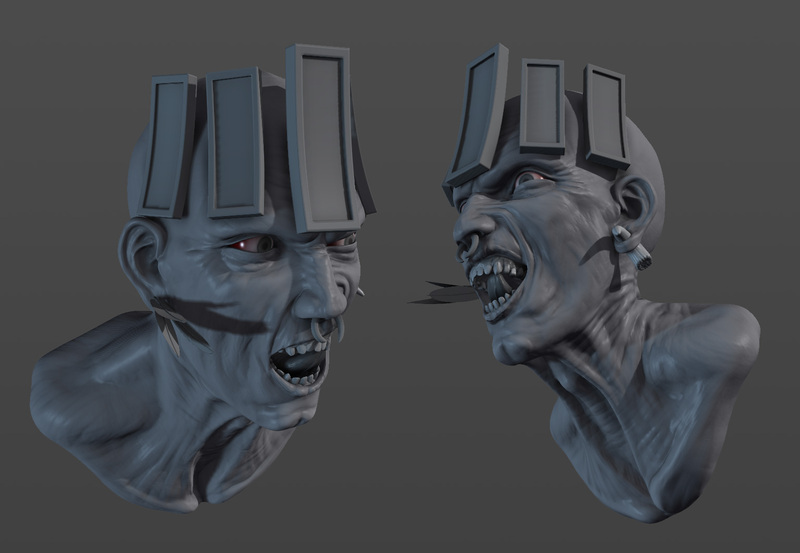 This entry was posted in BLOG and tagged 3D, Sketch, ZBrush on September 12, 2014 by Ralf. I said I’d update more often. I lied. Earlier this year I started a new job, and so, once again, five months passed without any update to my blog. Because of an overabundance of zombies, I dropped the idea and moved on to “I don’t know, what if he’s some kind of jungle creep”. 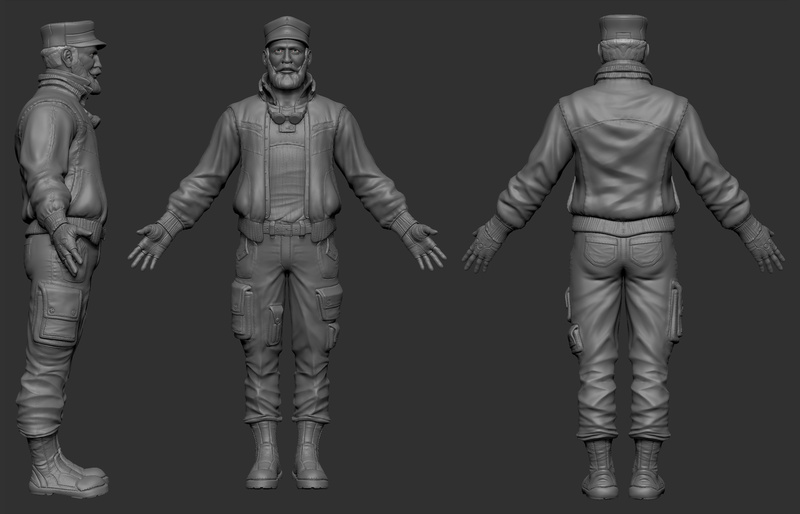 Still not finished, obviously, and it’s been a couple weeks since I worked on him, but it’s better than nothing, right? Back to that (in lack for a better word) new job of mine. 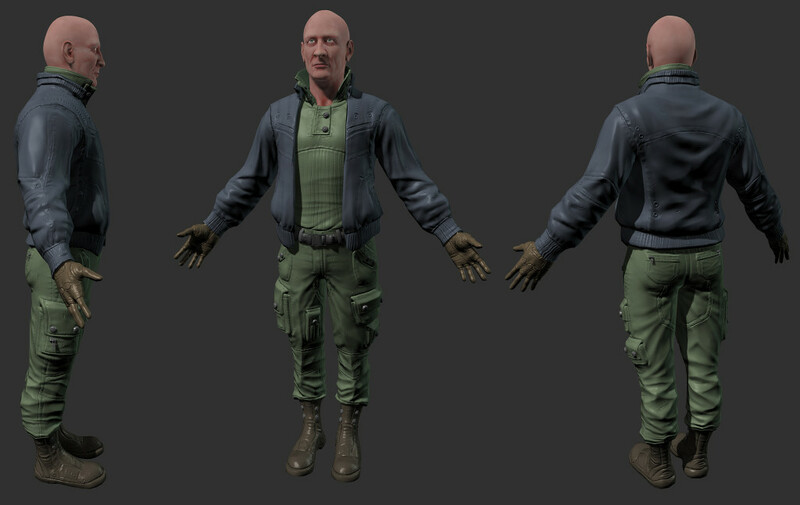 I started out making character models, but, due to necessity, had to do some more rigging and technical work as well. I finally got around to start learning Python, which is something I had on my agenda for quite a while now, and the circumstances rekindled my interest in rigging. I never really got into it before, in a professional scope, because I have the tendency to be a bit too, uh, exotic with my rigs. This, however, is actually a good thing for once, because the project I’m working on requires some exotic workarounds here and there. Something I can share is this system I’m currently working on. 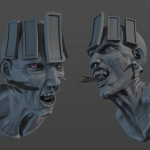 Maya Sine Deformer Fake Wind from Ralf Straube on Vimeo. I’m currently working on a script that adds a procedural wave motion based on a sine deformer on top of hand animated FK controls. The goal is to help animators to spice up their animations with a bit of secondary overlaps on things like tentacles, hair or any kind of dangly bits, while giving them enough freedom and control over how they want to animate the general motion of the joint chain. The sine deformer has an expression that ensures that the offset value automatically loops, and a point on poly constraint to modify the Y-translation of a set of dummy objects. Another set of expressions converts the translation values to degrees, which I feed through a double multiplyDivide chain to locally modify the amount of the rotation with a multiplier value, and another weight value to blend how much of the procedural rotation is added to the FK controls. 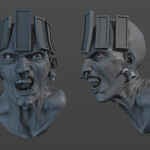 This entry was posted in BLOG and tagged 3D, Maya, ZBrush on August 14, 2014 by Ralf. So it’s been a while since I updated this. The good news is, I finally figured out how to use Insert Multi Mesh, when I took a (way too early) break from retopo today. There’s still a couple errors to fix and I get this nagging feeling that I’ve gone a little overboard with the amount of IMMs. 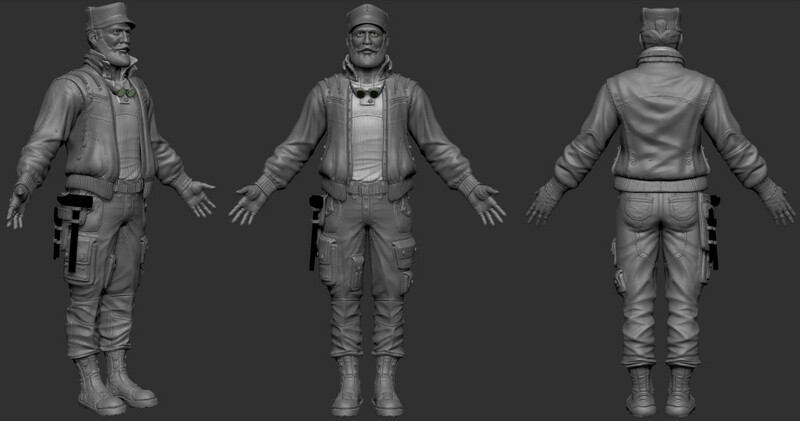 Also, the tools in his belt… thing… are placeholders. 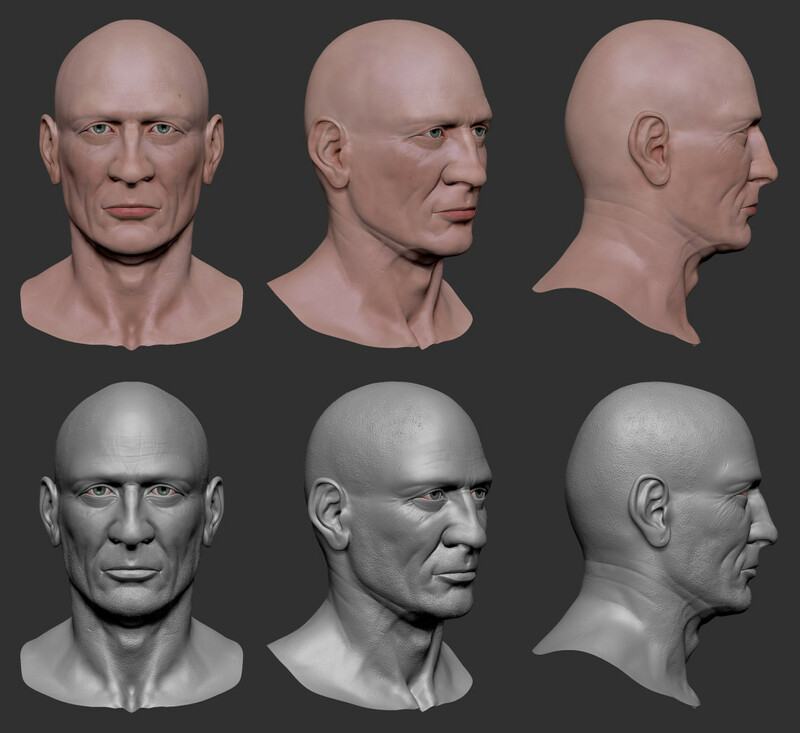 And here’s the retopologized head. 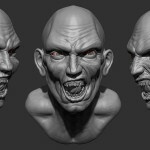 This entry was posted in 3D, BLOG and tagged 3D, ZBrush on December 11, 2013 by Ralf. 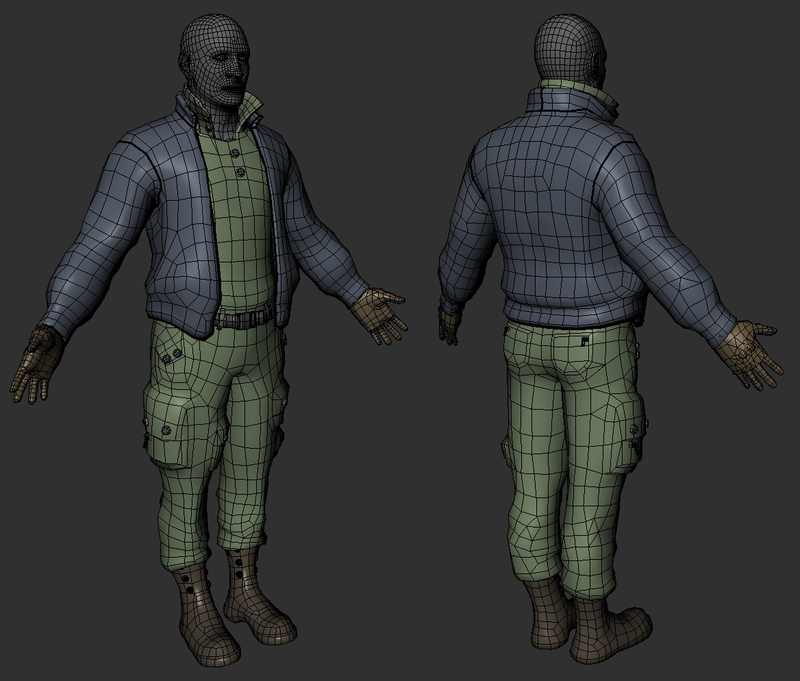 Okay, I’m going full retard with Fibermesh now. 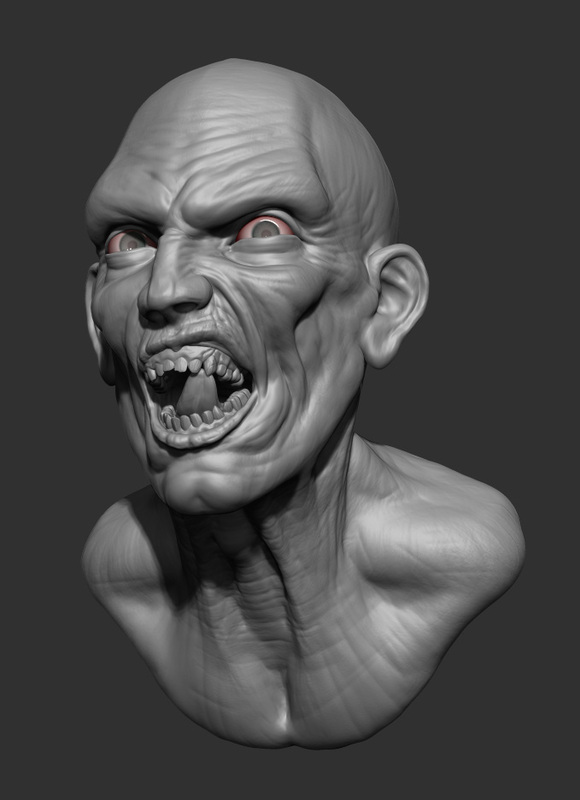 This entry was posted in 3D, BLOG and tagged 3D, Sketch, ZBrush on December 11, 2013 by Ralf. 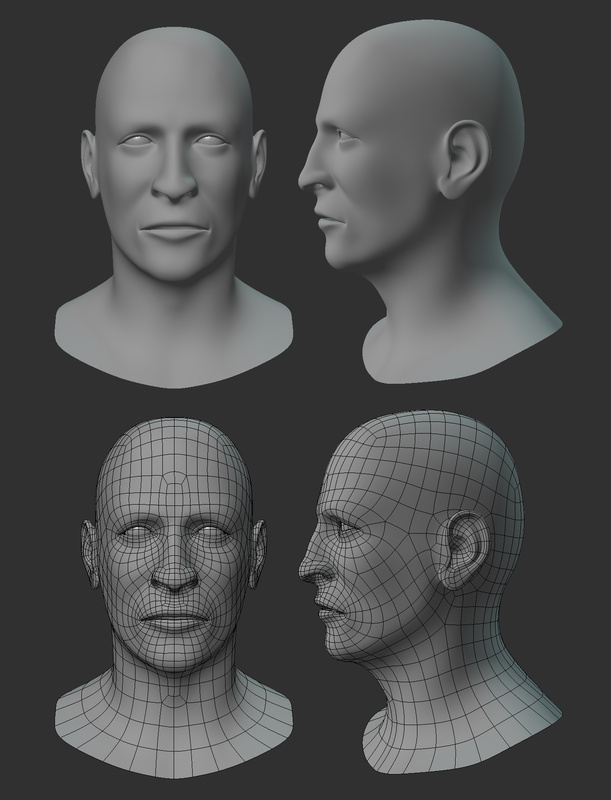 Finally found some motivation to work on the face. 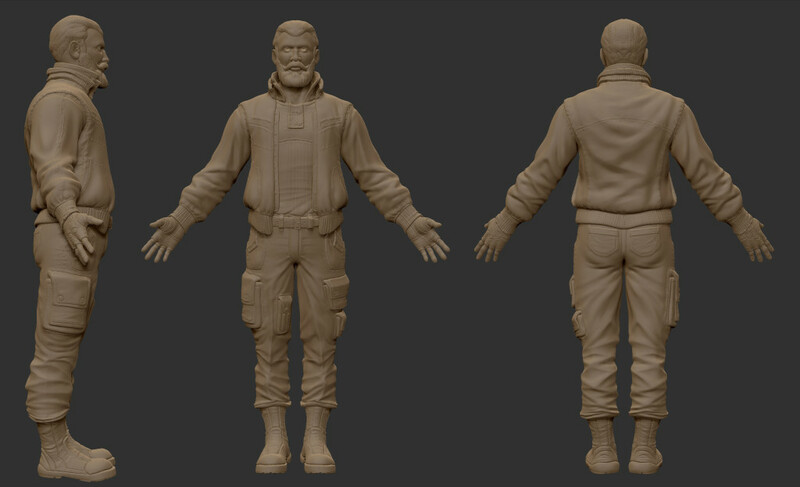 And I’m starting to add accessories. Still not quite there yet, but I’m trying. 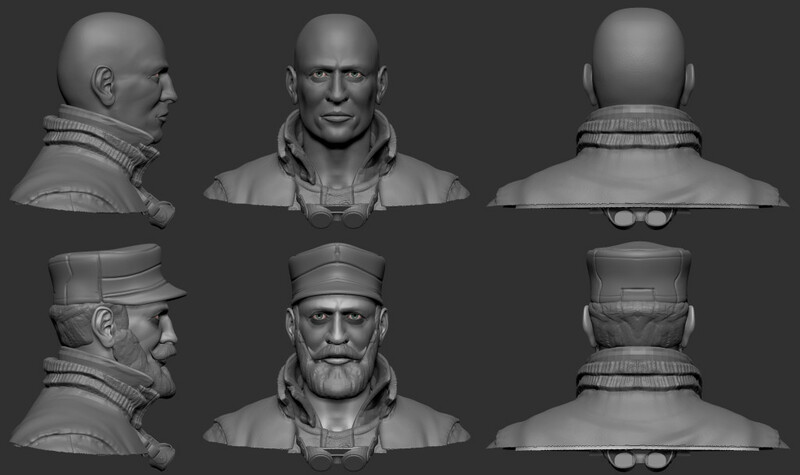 This entry was posted in 3D, BLOG and tagged 3D, ZBrush on December 5, 2013 by Ralf. So I guess he’ll be some kind of engineer? Or steampunk railroad conducter? Damn if I know. I’m contemplating whether to give him a nice hat or not. But I think yes. This entry was posted in 3D, BLOG and tagged 3D, ZBrush on December 3, 2013 by Ralf.